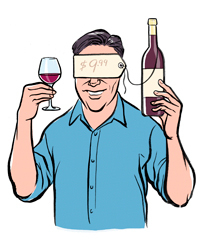 F&W’s Ray Isle blind-tasted 120 popular, under-$13 wines from a dozen of the country’s biggest wine retailers to discover the best, most delicious, easiest-to-find red and white values. At the risk of sounding a little too much like an SAT question, here’s a problem to solve: Mr. Smith is in a wine store. Some inexpensive wines are popular. Some inexpensive wines are good. However, not all inexpensive popular wines are good, and not all inexpensive good wines are popular. What wine should Mr. Smith buy? There are a number of possible answers—“the nearest one,” “the cheapest one,” “Smith doesn’t like wine; he buys a case of Rolling Rock instead.” But to solve Mr. Smith’s dilemma accurately, I had to do a little research. I asked 12 of the biggest wine retailers around the country to tell me their 10 most popular wines. I concentrated on stores where the main focus was wine, such as Zachys Wine & Liquor and the Wine Library in the northeast; K&L Wine Merchants and Wally’s in California; Spec’s in Texas; Binny’s Beverage Depot in Chicago; and several others (including wine.com, which, being an online retailer, is located everywhere and nowhere all at once). I left out supermarkets for the most part, though I did include two that have buyers with substantial wine credentials: Whole Foods Market, whose buyer, Devon Broglie, is a master sommelier; and Fairway Market, where all-around wine authority Josh Wesson consults on its selection. I gave these retailers some strict parameters. First, I was only interested in wines selling for under $13. Second, I wanted to know the most popular wines throughout 2012, not just the past month or so (I wanted to avoid a seasonal bias). Finally, I clarified: not their favorite wines, not the wines they wished sold well, but only the ones that actually did sell well. Then, once the lists arrived, I tracked down a bottle of each wine and staged a massive 120-bottle blind tasting to determine the top five reds and top five whites out of the whole bunch. Once the tasting was over, I had my list—but there were some surprises along the way. For instance, very few of the 120 wines I tasted were particularly bad. On the other hand, very few were particularly good. Instead, most of the wines I tasted were perfectly OK, in a completely nondescript kind of way. It was like being at a big convention full of boring people. The truly bad wines—like the Cabernet about which I wrote the note, “sugar-coated truck tires, ugh”—were honestly sort of mystifying. How some winemaker somewhere could have swirled that wine around in a glass, smelled it, and then said, “Righto, brilliant! Bottle it!” defies understanding. Especially 50,000 cases of it. But the truly good wines were exactly that: truly good. The 10 of them together make a great shopping list for the holidays. 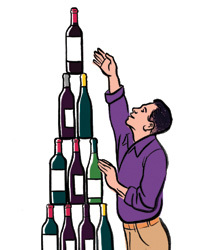 During this exercise, I also gleaned some useful overall tips for wine bargain-hunters. The first is this: If a good store is pushing an obscure wine, especially over the big names that have real marketing muscle and dollars behind them, then that wine is probably worth trying. The second takeaway is this: Don’t assume that because a wine is widely available, it wasn’t made with care. 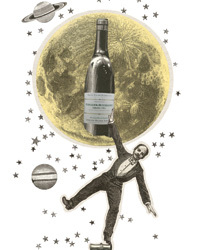 Take Kendall-Jackson Vintner’s Reserve Chardonnay. It’s not the coolest, most hipster-approved choice, to be sure—no large brand is—but the truth is that it’s a really good wine. It’s balanced, the flavors are bright and vivid, and it’s neither oaked to death nor (contrary to what some people say) buoyed by undue sweetness. There are reasons for its quality: The entire production, estimated to be around 2 million cases, comes from estate-owned vineyards, which is sort of jaw-dropping (KJ owns almost 11,000 acres of vineyards throughout California). The wine is aged in actual oak barrels, mostly French, rather than being zapped with tea bags of oak chips, like many affordable Chardonnays. And, possibly most important, Kendall-Jackson winemaster Randy Ullom is extremely talented. 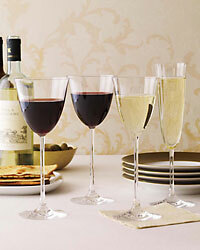 The same goes for the Louis M. Martini Sonoma County Cabernet, of which more than 250,000 cases are made each year. 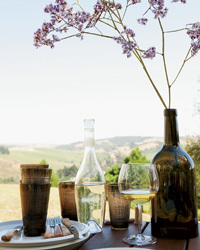 Michael Martini has been making this wine for more than 30 years. He knows the vineyards of Sonoma inside and out, helping ensure that the quality of fruit that goes into the wine stays high; a portion of it, in fact, comes from the historic Monte Rosso vineyard, one of the greatest vineyards in the state. The last tip is to remember how arbitrary the “price” of a bottle of wine can be. For my tasting, I’d asked for wines that stores were selling for less than $13 a bottle. But consider this: For Pascual Toso’s Malbec, the suggested retail price—its “official” price—is $12. K&L Wine Merchants, the store I polled, was selling it for $11.99; fair enough. But looking around elsewhere online, I found the same Malbec for as little as $8.95 a bottle (on sale, and a great deal, too). I also found it for as much as $17 a bottle (definitely not on sale—in fact, that price made me wonder what the opposite of “on sale” might actually be. On gouge? On rip-off? ).